This is an interview with the film's director, Michael Dorgan. Presenter Michael Dorgan in Cameroon. Photo courtesy of Go Forth Films. Most of the attention around palm oil production has focused on where the crop has the largest footprint: Southeast Asia. 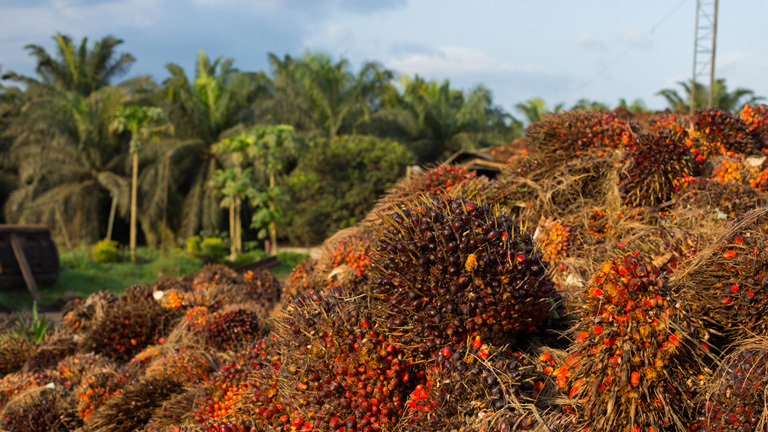 Yet oil palm plantations are rapidly mushrooming throughout the tropics, from the species’ ancestral home in West and Central Africa to Pacific islands to Latin America. 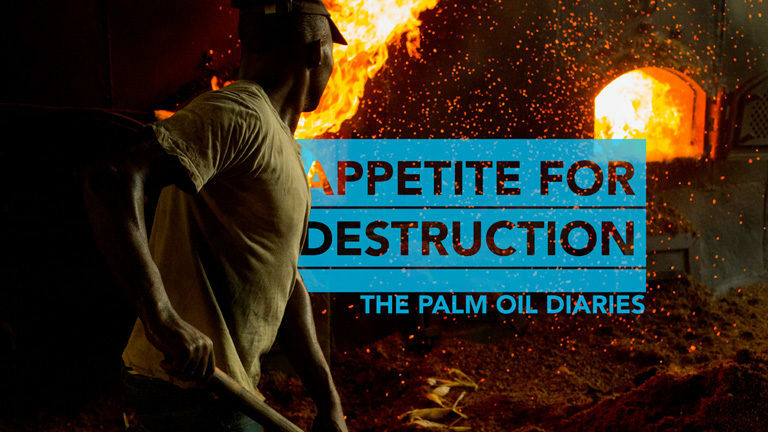 A new film, Appetite for Destruction: The Palm Oil Diaries, looks at some of the social and environmental impacts of that expansion, by visiting communities, forests, and plantations in Cameroon, Guatemala, and Colombia. During a January 2017 interview, Mongabay caught up with the film’s director Michael Dorgan, who talked about his experience in making the film, including an experiment he conducted on himself in an effort to measure the effects of a palm oil-heavy diet on his health. Mongabay.com: What is your background? How did you get into filmmaking? Michael Dorgan: I’m a South African-born British filmmaker. My journey into filmmaking probably started at university, studying history. I was studying all these moments that have defined us, but I didn’t want to be someone that just read about history – I’d rather experience it myself. I decided the best way to do this was through making documentaries. I went to film school and then made my first documentary – Young, Fit & Dying: The Truth about Running. At the time, there were a lot of stories about young people unexpectedly dying during sport, particularly marathons. So, I decided to run eight marathons in eight days to see what intense exercise really does to our bodies. That documentary was broadcast on TV across Europe and the Middle East, which motivated me to make another one. Mongabay.com: What led you to do a film on palm oil? 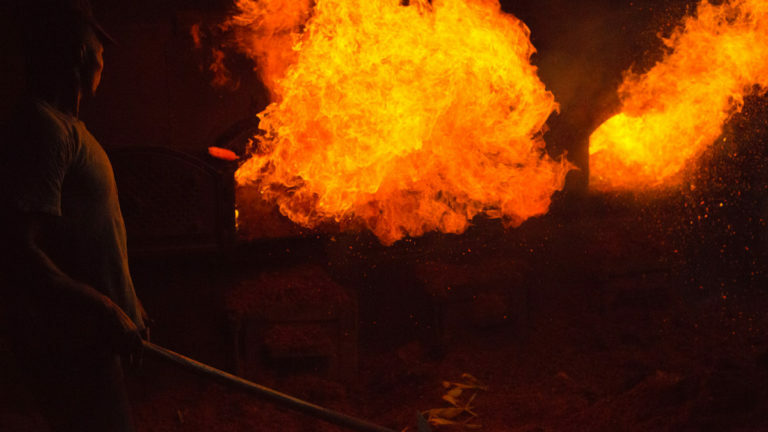 Michael Dorgan: I knew nothing about palm oil, until a chance conversation with my dad. That led me to do some research. I was shocked at the impact palm oil was having, particularly in South East Asia. One, palm oil is in so much of the food we eat, yet, because it’s just a hidden ingredient, the public awareness of it is remarkably low. I thought that needed to change. And two, the majority of the news coverage had been of South East Asia and of orangutans dying there. However, palm oil production was growing massively in Africa and Latin America, with little scrutiny. I was intrigued to find out if the story was the same there, or, in fact, completely different. Man burning old palm fruit in Cameroon. Photo courtesy of Go Forth Films. Mongabay.com: You did quite a bit of filming on location. 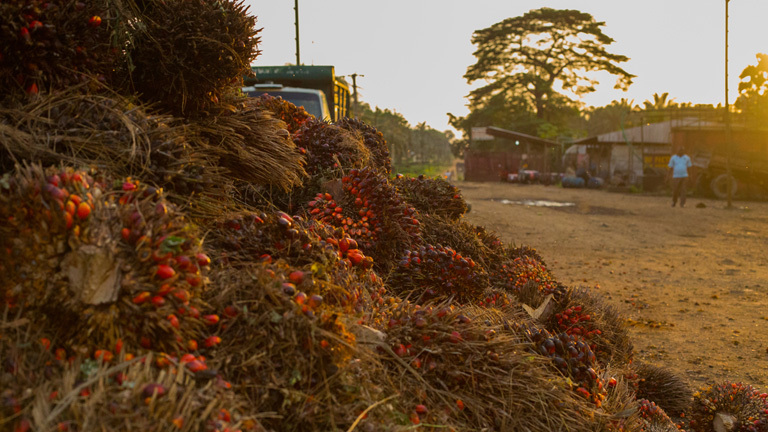 Did you encounter any major challenges capturing footage of oil palm plantations and forests? Did you have any opposition to your project? Michael Dorgan: In short, yes. Guatemala was probably the scariest. Everyone we spoke to feared retribution from palm oil companies. 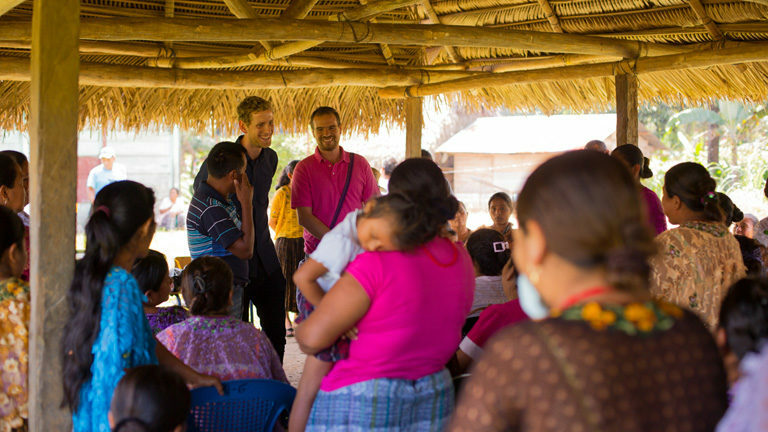 On our first night in Guatemala we spoke to a human rights activist about the situation in the country. He gave us great, detailed information and so we asked if we could interview him on camera. He refused to do so, even anonymously. This set the tone. We visited communities whose land was being forcibly sold to palm oil companies. Therefore, we were filming on the border between the communities and plantations. We’d be filming with a community and then be told that the local palm oil company knew that we were there. We’d have to make a hasty exit to avoid confrontation. This was for our safety, but also for the safety of the communities and the human rights workers. After we left, we learnt that a human rights worker about an hour from where we’d visited was allegedly assassinated for opposing the contamination of local rivers by palm oil companies. In Colombia they were very open to us filming at plantations, until they learnt that we had visited Guatemala. Less than a week before our flight to Colombia, the companies we were due to visit pulled out. We managed to negotiate with some of them and had to replace others. We’ve faced opposition since the film’s release too, such as the Malaysian Palm Oil Council tweeting our producer to say that the documentary was misleading. Presenter Michael Dorgan meeting Mayan community in Guatemala. Photo courtesy of Go Forth Films. Mongabay.com: In the making of the film, you did an experiment on yourself by eating a palm oil-heavy diet for six weeks. How did that work out for you? Michael Dorgan: Not well! From my previous documentary about running, I was used to putting my body on the line for science. However, the running documentary made me super fit – eating palm oil did the opposite! I went from 4.6% body fat to 7.4%. That’s not very high overall, but it is an extra 60% body fat in just six weeks. What was scary about the experiment was not the amount of fat gained, but where it was gained – around the heart and liver. These are the most dangerous places for fat to gather. The scientists told me if I continued to eat palm oil for an extended period, at the same rate as during the experiment, I would likely develop cirrhosis of the liver. Palm fruit waiting to be processed Cameroon. Photo courtesy of Go Forth Films. Mongabay.com: What was the most surprising thing you learned during the making of this film? Michael Dorgan: The impunity with which some palm oil companies operate. In Guatemala, the government and the palm oil companies are on the same side. This means human rights abuses, based on racial discrimination, are allowed to continue without consequence. Many times, when human rights organizations attempt to intervene, they are silenced, sometimes forcibly. Thousands of indigenous Mayan people are being forced into poverty by losing their land and little is being done to stop it. 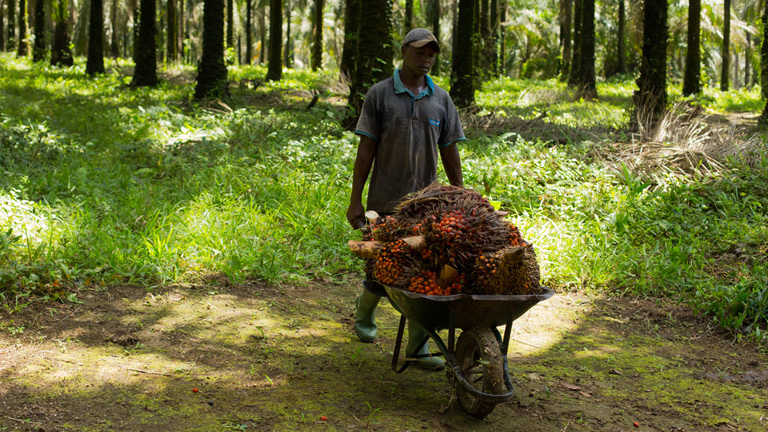 In Cameroon, palm oil companies have no real obligation to follow environmental rules. This is mainly because the sanctions imposed by the government are so weak. In reality, companies can just build the cost of paying small environmental fines into their business model. Here, the consequence is large-scale deforestation. Without urgent action, animals will go extinct. 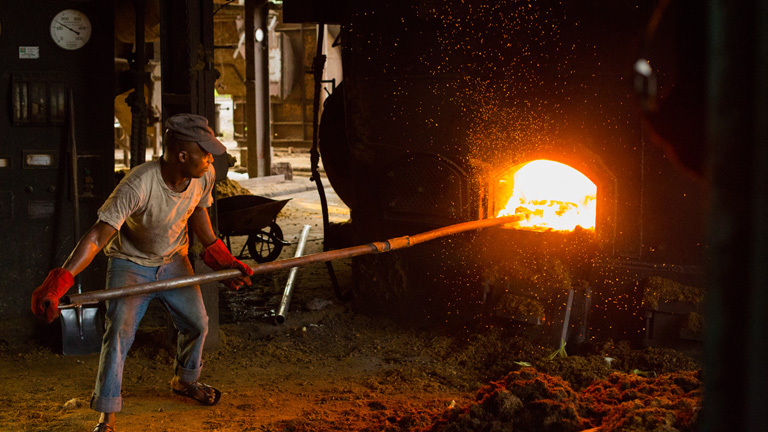 The problem in both Guatemala and Cameroon is that there are no incentives to change because most of the focus is on cleaning up South East Asia. 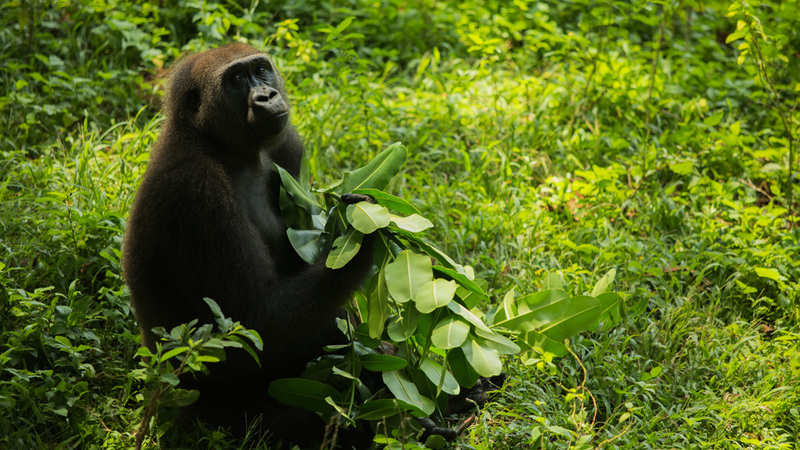 Lowland gorillas are threatened in some areas by palm oil in Central and West Africa. Photo courtesy of Go Forth Films. Mongabay.com: What do you hope people take away from your film? Michael Dorgan: I hope the film inspires people to put more pressure on multinational companies buying palm oil from lesser-known producing countries – like Guatemala and Cameroon. I also hope the film helps show people the good and bad of palm oil. We’ve mainly heard one story about palm oil – it kills orangutans in Borneo. While this is true, foods are being labeled to say, ‘does not contain palm oil’, and I’m not sure consumers are exactly sure why they should or shouldn’t eat palm oil. I think the film sheds some light on this. Palm plantation worker Cameroon. Photo courtesy of Go Forth Films. Mongabay.com: Now that the film is made, what are your plans for it? Michael Dorgan: We want as many people to see it as possible. It has already been broadcast on TV in Germany and is available to buy and rent directly online, here. By the film being available online globally while it does the TV rounds, we hope that the film prompts conversations and moves the debate about palm oil forward. 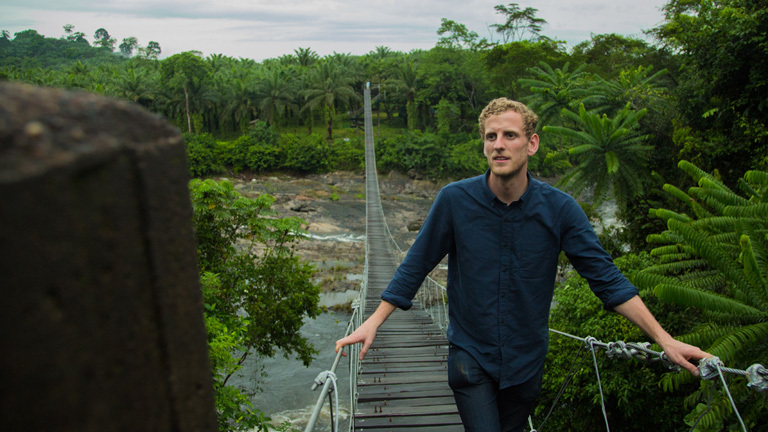 Presenter Michael Dorgan on bridge with an oil palm plantation in background. Photo courtesy of Go Forth Films. Mongabay.com: What’s next for you? Michael Dorgan: Nothing is confirmed as of yet, but we’ll be doing something in the current affairs/science space. No doubt it will be something that puts my body to the test, in the name of science! Fresh palm fruit bunches with plantation in background. Photo courtesy of Go Forth Films. Note: Mongabay founder and CEO Rhett Butler was interviewed for this documentary.